Whether your student is a senior with college applications on the horizon, or a junior who’s starting to cast the net, they – and you – may be overwhelmed. 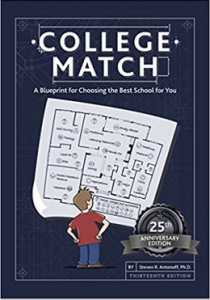 College Match, by Steven R. Antonoff, Ph.D. (2017, EDUconsultingMedia, ISBN 978-0692835388), is the single best all-in-one resource we’ve come across for building a college application list. College Match delivers what it promises: a blueprint for deciding to which colleges to apply. Written primarily for a student audience, this thirteenth edition includes a preface and two chapters directed to parents, as well as a note to counselors. College Match, which has been in print for 25 years, has incorporated feedback and updated information in its subsequent editions. 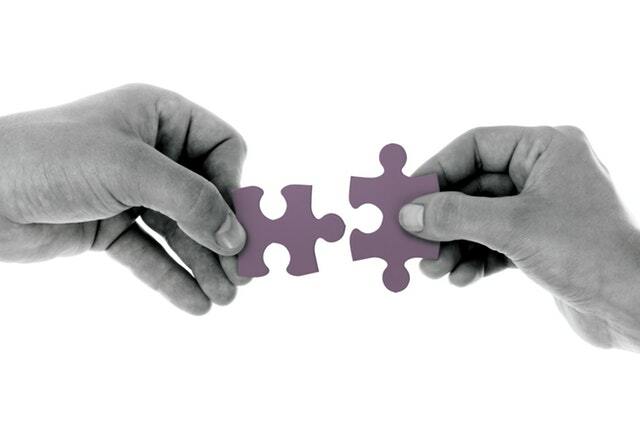 College Match guides readers through a linear process of honing in on “right fit” colleges. It utilizes discussion and worksheets to assist students in developing their lists. Antonoff’s premises are that the college application process can be stress-free, that there are college matches for every student, and that the process of applying for college represents an opportunity for students to develop initiative, decision-making skills, and an understanding of the consequences of those decisions. After reviewing 13 myths about choosing a college, College Match dives into its first set of worksheets. Designed to encourage self-reflection, the first worksheet helps surface qualities that can drive college choice. The questions fall into ten buckets: school enthusiasm, participant learner, affection for knowledge, basic academic skills, independence, career orientation, social consciousness, self-understanding, academic/social balance, and eagerness for college. After scoring the responses, the student is directed to an interpretation of each theme. For example, Antonoff suggests that students that score high in career orientation explore majors related to professions, and that students that score high in participant learner may enjoy smaller class sizes and readily available professors. The worksheets that follow encourage students to identify their strengths and weaknesses, and then to evaluate their admission profile. His framework is enlightening, and can be a valuable and necessary starting point in the search for “right fit” colleges. College Match then moves on to helping students identify qualities that are important in a college, explaining and asking questions about campus size, academic environment, academic offerings, cost, religion, ethnicity, gender, student life, and exclusivity, among others. The worksheet that follows asks students to use their answers to inform their list of top characteristics of their ideal college. Next, Antonoff dives into college cost and financial aid, inviting parents to be part of the discussion. This section contains much valuable information, but also some that is off the mark. His underlying assumption is that loans are a given, writing, “Education debt is usually considered ‘good’ debt because it is an investment in your student’s future.” While the author tempers that with cautionary advice (he admits, “Every dollar you spend in student loan money may cost your family about two dollars when you repay the debt”), the premise is faulty – students shouldn’t have to go into debt to attend college. Similarly, although Antonoff writes that “financial fit” is one of several factors to consider when selecting a college, arguably that it is the only relevant factor. If a student has applied only to “right fit” colleges, then the highest bidder – the college that offers the lowest net cost – is the one that the student should attend. 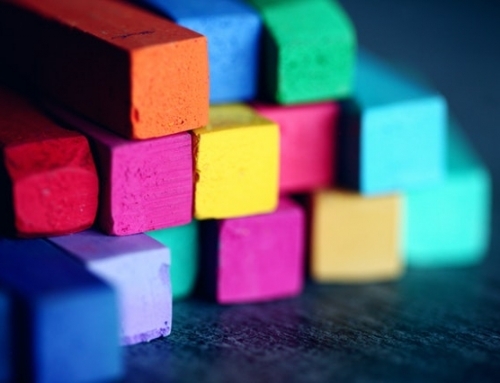 The author then offers 11 strategies for list building, which include using school, online, and published resources; attending admissions presentation; talking to parents and friends; and thinking about majors and careers. After listing up to 20 colleges, students are directed to use a variety of resources to gather information that will allow them to compare colleges. Antonoff encourages students to be clear-eyed about sorting colleges into “reach,” “attainable,” and “safety” schools, and to be as thoughtful in selecting safety schools as they are in choosing reach schools. College Match then outlines considerations for winnowing the list down to the schools where the student will apply. College Match offers a chapter on “The Admission Process Revealed,” and does an admirable job of outlining seven factors that are considered during college admissions. The disappointing omission was the role that financial need (or lack thereof) plays in admissions decisions. Failing to acknowledge this reality isn’t fair to the reader. Antonoff wraps up the book with a chapter on succeeding during the first year of college, a chapter on parents’ questions and concerns, and appendices that include college planning goals per grade level. Overall, College Match’s 173 pages are chockfull of useful information for the college-bound student and their family. The information has been distilled in a way that leads the reader through the process of selecting schools that are a good fit. Want more college match tips? Subscribe to the Scholarship Money Online newsletter.